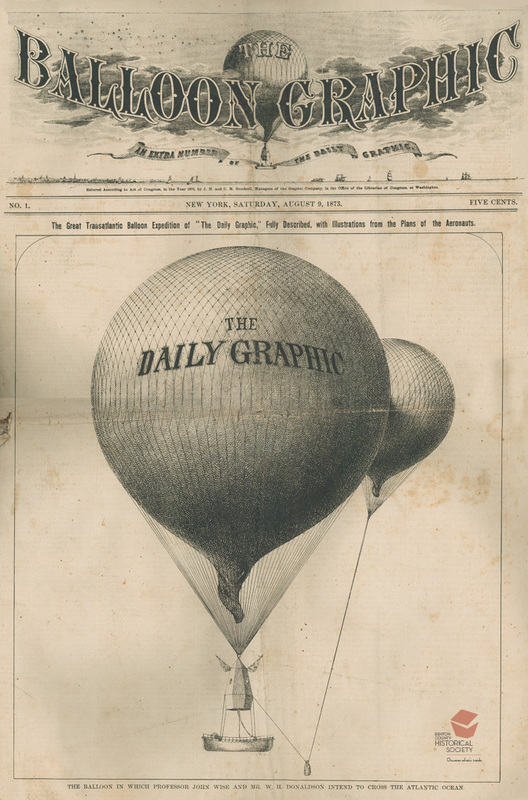 In 1873, the Daily Graphic newspaper sponsored John Wise's attempt to cross the Atlantic Ocean in a gas balloon. Wise, an innovative balloonist with over 400 flights, including a record-setting trip of 1,120 miles from St. Louis to New Hampshire, predicted that the prevailing air current known as the jet stream would carry them from New York to Europe. The 160 foot high, 400,000 cubic foot gas balloon ripped during inflation. John Wise dropped out but his partner, W. H. Donaldson, later began the journey but failed to get beyond the U.S. The Atlantic Ocean was not crossed by balloon until a century after than Wise's planned flight. The helium-filled Double Eagle II achieved this feat in 1978. A balloon crossing of the Pacific took place three years later (1981).